Cellulite, Wrinkles & Fat, Oh My! 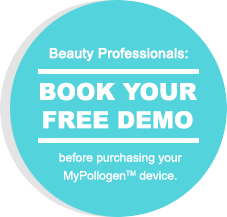 My Pollogen > TV Media > Cellulite, Wrinkles & Fat, Oh My! Aesthetic blog features TriPollar for skin tightening, trimming and cellulite reduction. Marty Lumpkin – Clinical Trainer & 9Apps Download Operating Room Director at Skintastic explains that as the skin and underlying tissue heat up, existing collagen contracts, inducing immediate tightening. More than a momentary result, the skin’s metabolism speeds up and encourages new collagen growth to help further reinforce a firmer, smoother appearance. Additionally, TriPollar technology reduces cellulite. As the area is heated, fatty acids (liquid fat) are released, causing the cells to shrink. The excess fat is picked up and flushed out by the body’s blood and lymphatic system. After six to eight treatments the targeted area will be tighter, slimmer with less cellulite.